with World Cup Advisor’s AutoTrade® trading service. WCA identifies talented traders and qualifies them as eligible to trade self-funded “lead” accounts. Subscribers pay a monthly fee to “mirror” the account of the leader(s) they choose to follow. To mirror trades, a subscriber must open an account with an authorized broker and fund it at a level appropriate for the program(s) he or she elects to follow. 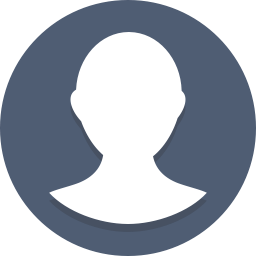 Subscriptions are offered on a month-to-month basis, and subscribers can start a new program or stop an existing one with a single phone call to their authorized broker. Subscribers can control their own leverage by adjusting funding levels and adding or reducing exposure to the programs they are following. To find a “lead” program that’s right for you in terms of your investment objectives, risk tolerance and funding level, create a free guest account and use our analysis tools: Net-Profit Calculator to view fees and performance; life-of-program closed-trade data; advisor profiles and specifications; and detailed month-end performance reports. As a paid AutoTrade™ trading service subscriber, you’ll have access to live trade screens for your program(s) to view orders as they are entered and fills as they occur. If desired, you’ll receive email notifications of all account activity. Your authorized broker will of course send you daily and monthly trading statements. If you’ve narrowed your search and need assistance, give us a call so we can help you make a final decision. If you’ve made your decision, click here to start the subscription process. Performance includes open trade equity through April 17, 2019. Trading futures and forex involves significant risk of loss and is not suitable for everyone. Past performance is not necessarily indicative of future results. 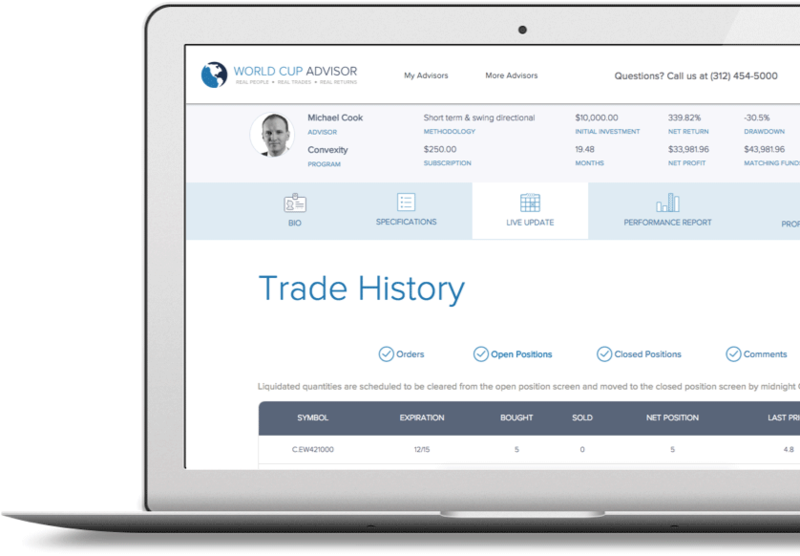 WorldCupAdvisor.com provides an elegant trading solution for many investors. We identify talented professional futures traders and enable subscribers to seamlessly mirror their live trading. Trade leaders have their own money on the line, right along with their followers. We provide a variety of analysis tools so that you can find a program to follow that’s right for your needs. Our LF TradeSync platform was designed to deliver same-price fills to leaders and followers alike. Many of our lead traders are identified through outstanding performances in the World Cup Trading Championships®, which have been running continuously since 1983. Performance of every contestant in this internationally recognized competition is evaluated by the WCA business development team. Thank you for your interest in Stefano Serafini’s AutoTrade™ Trading Services. View the end-of-month Performance Reports and Account Specs for Stefano’s programs below. Trading futures involves significant risk of loss and is not suitable for everyone.